ROWAN COUNTY -- The death of a missing Rowan County teenager has been ruled a homicide violence of undetermined means by the medical examiner's office. Erica Parsons, 13, was last seen November 2011, but she wasn't reported missing until July 2013 by her adopted brother, when she would have been 15. WSOC reports her adoptive parents, Casey and Sandy Parsons, told investigators that Erica had gone to Asheville to visit her grandmother Nan. Yet, authorities later determined that Nan didn't exist. 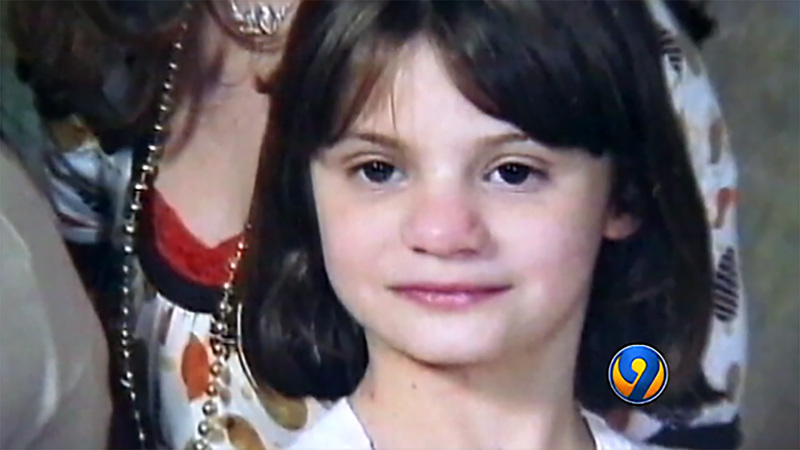 Erica's body wasn't found until 2016 when her adoptive father, Sandy, led investigators to her body in a wooded area in Chesterfield County. According to the autopsy report, in the week before her 2011 disappearance, Erica's siblings described her as looking gray with sunken eyes, smelling bad with open, oozing cuts, very weak, and complaining of not being able to breathe. The report also showed that Erica suffered multiple blunt force injuries over a prolonged period of time, a growth deficit, and low bone density, suggesting malnourishment. Several family members also reported that Erica was being physically and emotionally abused by Sandy and Casey. Reports also included the child being beaten with a belt buckle, episodes of being choked and thrown to the ground, one of her hands being slammed in a door, repeated episodes of her fingers being bent all the way back, being forced to sleep in a closet, being forced to eat dog food, and being deprived of food. Teresa Goodman, Erica aunt on her biological father's side, said she wants the Parsonses to pay for their actions. "I want to see them get the death penalty," Goodman said Tuesday. "That's what I want because that's what they deserve."